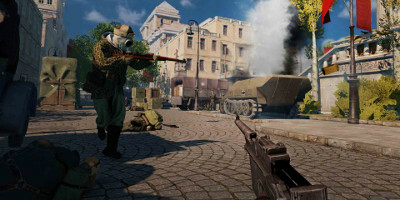 From the makers of "Payday 2", Raid: World War II is an action-packed four player co-operative shooter set during a time when the Nazi war machine was still winning, and hope was in short supply. Not every part of the war effort is noble. In fact, Mrs. White has something else in mind for the squad. 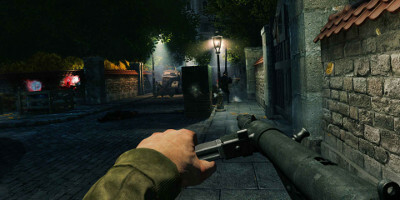 Players will fight for their freedom via sabotage, robberies and assassinations of the Nazi Party. If they’re stealing from the Nazis, why not get rich on the side. War Cries - Each class has its unique War Cry: a powerful ability that can be unleashed to buff yourself or the entire team. For example, if a player activates the War Cry ‘Berserk’, players won’t consume ammo for a limited time - so they’re free to blast away. Character Customisation - Our four heroes are drawn from the main combatants in the European theatre of World War II: Great Britain, USA, Germany and the Soviet Union. Each has its unique look with a fully customisable uniform. Weapon Modifications - World War II saw the dawn of a whole lot of new weapons that said “bang” in lots of new ways. 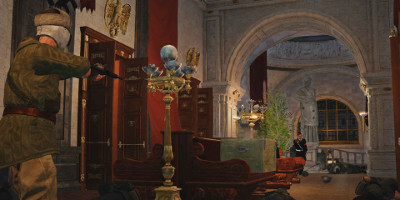 Raid allows players to play around with these weapons and of course upgrade and customise. Barrels, stocks, fore grips, optic sights and much more allow for a vast range of play styles. Challenge Cards - Players can earn and spend special Challenge Cards. These let players customise the “rules” of a raid in a buff-debuff way. 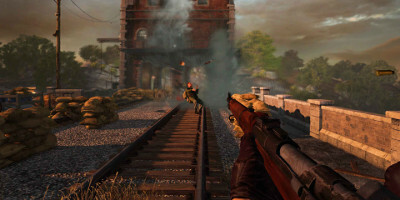 For example, enemy ammo drops will increase, but at the expense of enemies doing greater damage.